Canadian Pump Solutions has a full range of Pump services. CPS is focused on providing our customers with pumping solutions with a particular emphasis on sewage pumping and other more complicated specialist pump applications. This combined with excellent service levels results in an unrivalled and cost effective total package. 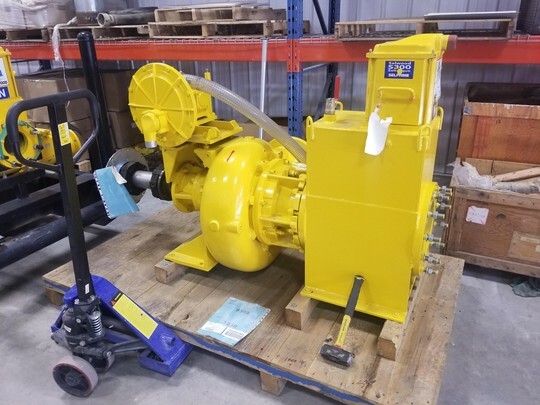 We are able to offer a full service comprehensive maintenance package or repair for your pumps and or related equipment. Pump maintenance produces cost savings over time and contributes to the reliability of your business processes. A maintenance contract will therefore always pay for itself. Utilizing either our workshop facilities or mobile service engineers, we cover a wide range of services to help you on your next project. You can rely on our service support 24/7. Our expert service technicians use their extensive knowledge and experience to identify the cause of almost any failure and quickly solve and problems with little to no downtime.